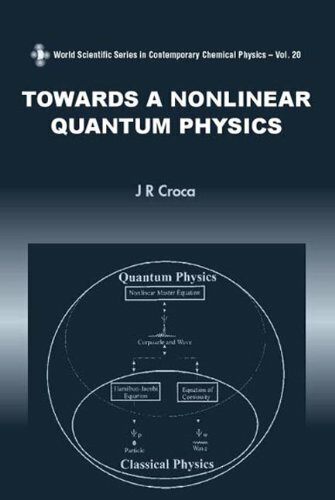 [PDF] Towards a Nonlinear Quantum Physics (World Scientific Series in Contemporary Chemical Physics) | Free eBooks Download - EBOOKEE! Description: The author of this text presents conceptual and experimental evidence showing that Heisenberg's uncertainty relations are not valid in all cases. Furthermore, he derives a more general set of uncertainty relations. The new relations result from the replacement of the Fourier nonlocal and nontemporal paradigm by wavelet local analysis. These results lead to a coherent and beautiful causal synthesis unifying quantum and classical physics. No comments for "[PDF] Towards a Nonlinear Quantum Physics (World Scientific Series in Contemporary Chemical Physics)".